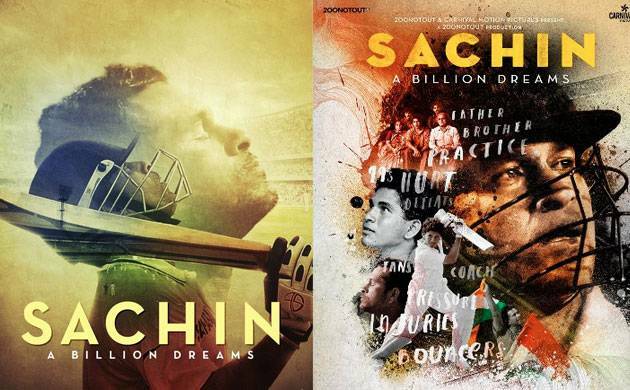 It's a big day in the history of Indian cinema and Indian cricket as today the nation will relive the stupendous and inspiring journey of 'God of cricket' Sachin Tendulkar as his biopic 'Sachin: A Billion Dreams' has finally hit the silver screen. It's a big day in the history of Indian cinema and Indian cricket as today the nation will relive the stupendous and inspiring journey of 'God of cricket' Sachin Tendulkar as his biopic 'Sachin: A Billion Dreams' has finally hit the silver screen. The movie has indeed been one of the most awaited movies of the year given the huge fan following Tendulkar enjoys from several year. A James Erskine directorial, the biopic will be covering the entire journey of Sachin Tendulkar focussing on his love for cricket, her personal life and the fan frenzy he has garnered so far. And while everyone is waiting for the first review of the movie, there are many who have went for the first day first show for 'Sachin: A Billion Dreams'. In fact, several viewers have taken it to social media to give their opinions about the biopic stratight from the cinema hall. So, here we bring you the live reactions of fans and critics about the nostalgic journey of Sachin Tendulkar. A Journey Worth Experiencing... Entertains. Enthralls. Enlightens. Sachin reel life debut is as breathtaking as his cricketing life.A must watch for everyone. Sachin sachin!!!!.#SachinABillionDreams. Loved ur biopic @sachin_rt sir #SachinABillionDreams it was an awsm biopic i loved ur hardwork u was my inspiration and truly I'm inspired..
Tears, goosebumps, happiness and pride. #SachinABillionDreams Interval & What A Amazing Film Its An Emotion Of Millions @sachin_rt Love You God Of Cricket ! I cried, I laughed, I was tense, I was happy... It was a complete emotion! It was #SachinABillionDreams Thank you @sachin_rt We miss you! #SachinABillionDreams - 1st Half 👌 lot of insight into his career ! #SachinABillionDreams What an amazing movie. Just loved every bit of it. Thank you for the memories @sachin_rt Sir.